The Newmans » Blog Archive » Need a Lift? Q: How many Chinese can you fit in a lift? 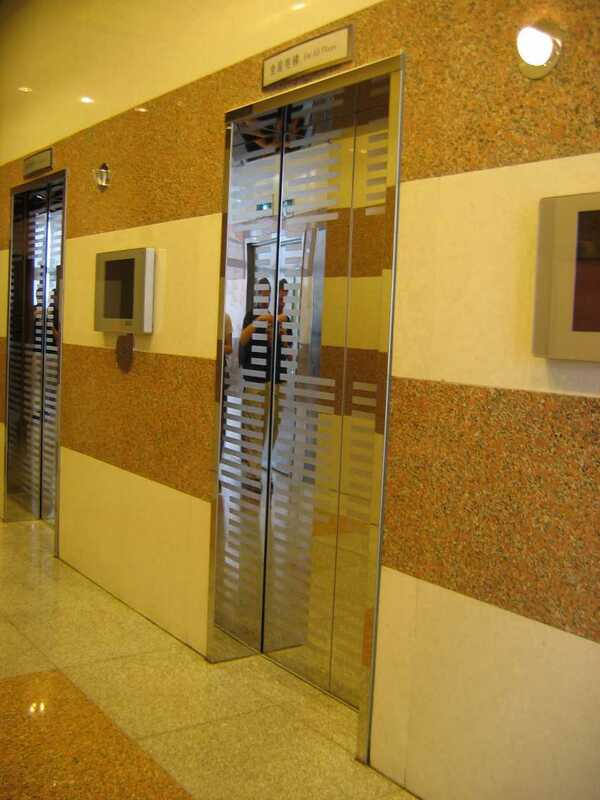 My record thus far stands at 17 people in a lift rated for 15 persons in the work building. Having 15 people in these lifts has happened quite a few times and I was jammed in there with 16 others only yesterday. Sometimes when the lift stops to let on more people it is already full. The prospective new co-occupants of the lift don’t seem to care, they just push and shove their way on until the doors successfully close and away you go! I was told by a colleague that it’s a good idea to keep your hands up around chest height under such circumstances in case there is some “inappropriate contact”. Not always an easy thing to achieve when your arms are pinned against you and either the wall or someone else.